This week I opened the Barclaycard Arrival Plus™ World Elite MasterCard® with 40,000 bonus miles after spending $3k in the first 90 days. A lot of people ask me what cards I get and why, so I wanted to share my decision making process, my experience getting the Arrival Plus, and my strategy with the card. For a full review of the Arrival card, see Barclaycard Arrival Plus: 2.15% Cash Back Card with $430 Sign Up Bonus. The Arrival Plus’ sign up bonus is $400 in free travel after spending only $3,000 in the first 90 days. That’s a huge sign up bonus for such a tiny minimum spending requirement. I spend very little money, and I often travel in countries where using a credit card is difficult, so it is not always easy for me to meet cards with a large minimum spending requirement. Getting a great card that only has a $3,000 minimum spending requirement is a nice change. I know not everyone is into First Class travel, but I am! To fly international first class, I collect United and American Airlines miles. United and American miles can be used poorly for some of those things–rarely the best option for domestic economy flights–and can’t be used at all to book a hostel, to get a place on airbnb, or to pay the government taxes on an award ticket. But Arrival miles are incredible for all of these redemptions. Arrival miles are worth 1.075 cents (after the 5% rebate you get on travel redemptions) toward all travel redemptions. That includes all flights on all airlines, any method of lodging, renting cars, booking cruises, and more! Arrival miles are horrible for booking first class. You’d need 1,000,000 to book a $10,000 first class ticket, so I keep collecting American and United miles for those flights. But for everything else, Arrival miles fill a hole in my miles collecting strategy. It’s important to diversify your miles and points across the Six Types of Frequent Flyer Miles. Every purchase with the Arrival card earns 2 miles per dollar. Each mile can be redeemed for 1 cent toward any travel expense. When you redeem for a travel expense, you immediately get a 5% rebate on the Arrival miles redeemed. As an example, a $100 plane ticket would cost 9,500 Arrival miles after the 5% rebate. That’s a value of 1.075 cents per mile. Since you earn 2 miles per dollar, the card earns 2.15% back toward travel on any purchase. That’s an incredible rate of return on everyday purchases that only one or two other cards can match. That’s why I rate the Arrival Card as one of the Three Best Cards for Big Spenders. Purchase whatever travel-related thing you want with your Arrival Plus. Sign into your Barclaycard account. Find the purchase you made and select it to redeem your miles for it. For screen shots and more details, see How to Redeem Barclaycard Arrival Miles. Arrival miles are not like airline miles where you have to search for Saver award space on multiple websites or call a phone agent. Buy whatever you want, and with a few clicks you can redeem your Arrival miles to make the charge disappear. Last week, I clicked an application link for the Barclaycard Arrival Plus™ World Elite MasterCard®. The application took just a few minutes, and I was instantly approved for the card as soon as I submitted the application. Who is this card wrong for? This card was right for me for the 2.15% back on everyday spending and big sign up bonus, but it’s not right for everyone. Airline miles and hotel points put first class travel in our reach in ways that the Arrival Plus doesn’t. If you are in the hobby exclusively for luxury, skip the Arrival Plus and get the Sapphire Preferred or the SPG Card. How Will I Use the Card? I plan to use this card frequently for everyday purchases that don’t fall into a bonus category on any on my other cards. When I am faced with a non-bonused purchase, my best two options are my Arrival Plus with 2.22% back toward travel and 1 Starpoint per dollar with my SPG Card. If I’m trying to build my balances for a premium cabin air redemption or a stay at a nice hotel, I’ll put the spending on the SPG card. If I want flexible rewards for other accommodations and economy flights, I’ll put the spending on the Arrival Plus. The Arrival Plus is a great card for people who want big earning power and easy-to-use rewards for travel expenses or economy flights. How do you compare tripit with award wallet. Almost everyone in every blog favors award wallet. I have used both and find them pretty similar except award wallet can track AA miles but tripit cannot which is a big big big difference for me personally. I only recently gave in and started tracking award miles so I added my accounts to both. For those accounts that don’t track automatically in TripIt, you can forward your monthly statement emails to points@tripit.com and it will automatically update your account, similarly to how you forward the itineraries to them. I believe AwardWallet offers the same function. One thing that I didn’t like about TripIt point tracking is inability to enter the point balance manually until the next statement comes along. Other than point tracking, I have been a TripIt user for 3-4 years now and I love it. I even met with their engineering and marketing teams at one point to provide “power user” feedback. I recommend them to everyone, but maybe not for points tracking. I already have tripit, but not tripit pro. how do i upgrade with this card (i just got it too)? When you log into you account on Barclays site, you should see the offer right smack in the middle of the front page. Also worth mentioning the car rental coverage – while secondary in the US, it becomes primary abroad so while I will continue use my United card for US rentals, this will be handy for extra protection and travel refund while renting the car outside the US. I recently got the Arrival card in order to use it for an upcoming cruise (in August, in Alaska with 6 other couples). I will soon get one for my husband so that between the two of us we can pay for a larger portion of our cruise expenses this way. This card is PERFECT for cruise expenses. We’re already using Delta miles for our flights. Sounds like a great way to knock hundreds of dollars off the price. Enjoy the cruise! Another good use of this card is to redeem against fuel surcharges when they are unavoidable. Very useful for Avios/Virgin bookings. I definitely plan to use my miles for out-of-pocket expenses on award redemptions. 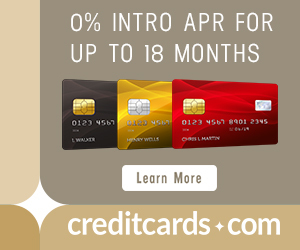 Why would anyone want to get a cashback card with only 2% travel/1% everything else? Even with the $400 sign up bonus, it’s a losing deal compared to, say the Capitol One Venture (2% on all purchases), Amex Blue (gives me 5% back on all supermarket, drug store, gas, 1% on everything else, no ceiling on the card I have). Yes, I accrue most of my expenditures on miles earning cards, but I generate more that $2000 a year with Cap one and Amex Blue. I think you’re misunderstanding this card. The Arrival card in this post gets 2.22% back on all purchases (not the percentages in your comment.) Take another look at the earning portion of this post. How can you use the Arrival card to buy a ticket from a low-cost airline such as Air Asia without foreign transaction fee? This card do charge FTF, right? The Arrival card has NO foreign transaction fees. Buy the ticket on Air Asia, earn double miles on the purchase, then redeem miles to remove the the cost of the ticket from your statement with just a few clicks. Is there really that much value in this card? Sign-up bonus aside, anyone involved in this hobby of ours will already have several credit cards with different category bonuses. Will there be enough leftover non-category spending to justify the annual fee on this card? Depending how you play this hobby, this card can add a lot of value in terms of essentially free travel with all the things going on right now that allow you to put essentially free spend on the card, earning from 2x-6x towards your future travels. Take a look at your statements to determine this for yourself. I find the vast majority of my spending comes outside of any card’s category bonuses. Is there a yearly fee for this card? No annual fee the first year, then $89. As long as you spend $4,500 on the card annually, you earn the annual fee back. Most of my spend is non-bonus, so that is easy to meet. My goal is to put $15,000 a year or so on the card and to redeem mainly against taxes/fuel surcharges. Barclays only allows redemptions in increments of 2,500 miles. 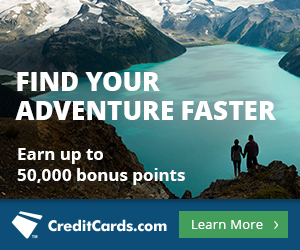 If you have some left over miles but don’t want to spend a boatload to be able to redeem them, I suggest signing up to Barclay Travel (it’s free and you get 500 miles just for filling out your profile). You also get 200 miles per short travel story you share (50 words + picture required) and another 10 miles per kudos received (basically a facebook like).